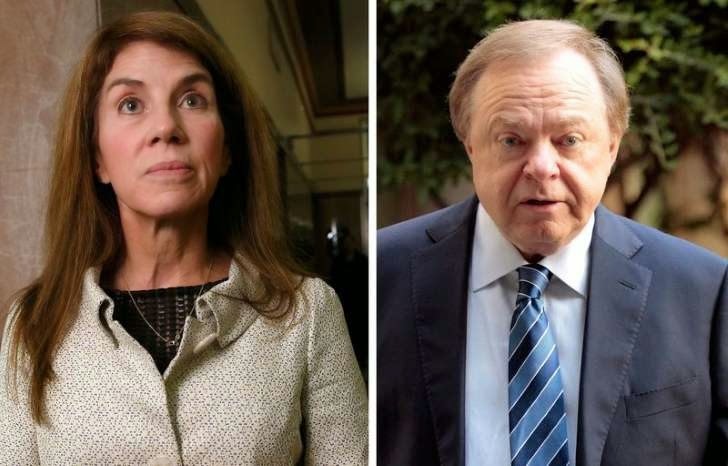 Sue Ann Hamm is the ex-wife of Oklahoma oil tycoon Harold Hamm, and she was settled with over $1 Billion worth of cash and assets after the couple's divorce earlier this week. However, she plans to appeal the judgment on grounds that the amount she got undervalues the marital wealth she is entitled to. Sue Ann feels the decision by the court to allow her husband to keep almost 94% of the estimated $18 billion increase in his financial net worth during their 26-year marriage, is "not equitable". On Monday, Oklahoma County Court Judge Howard Haralson ordered the CEO, who is believed to own more oil than any other American, to pay his ex-wife $995 million. The ruling allows her to keep additional assets, including a California ranch and an Oklahoma home, worth tens of millions more. The Hamm v. Hamm divorce judgment is one of the largest in U.S. history, but Sue Ann's award is a small fraction of the wealth Haralson allowed Harold Hamm to keep. So Sue Ann Hamm will be appealling the settlement and asking for more in the next few weeks, one of her lawyers, Ron Barber, said. Sue Ann is disappointed in the outcome of this case. She dedicated 25 years as Harold’s faithful partner in family and business. Harold Hamm is the chief executive officer of oil conglomerate, Continental Resources, and is believed to own more oil than any other American. He holds more than 68 percent of Continental's stock, a stake valued at around $13.5 billion today.